Dr. Martin Luther King Jr. Blvd. and Veronica S. Shoemaker Blvd. 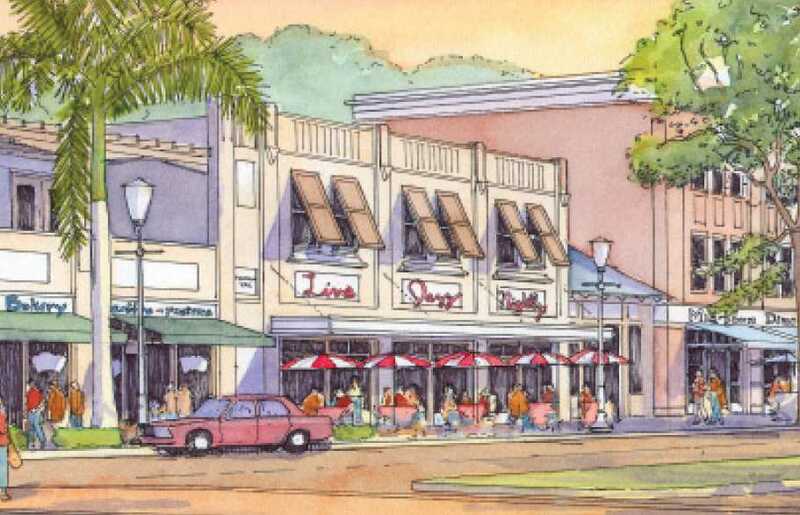 This page provides information about a revitalization plan for the two major road corridors through the Dunbar community in Fort Myers, Florida. 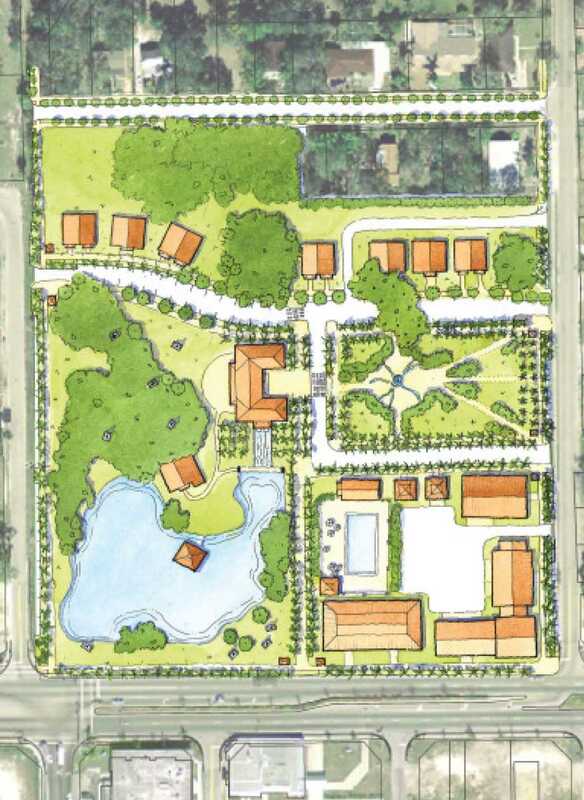 This plan was completed in July 2006 and adopted by the Fort Myers City Council in November 2006. 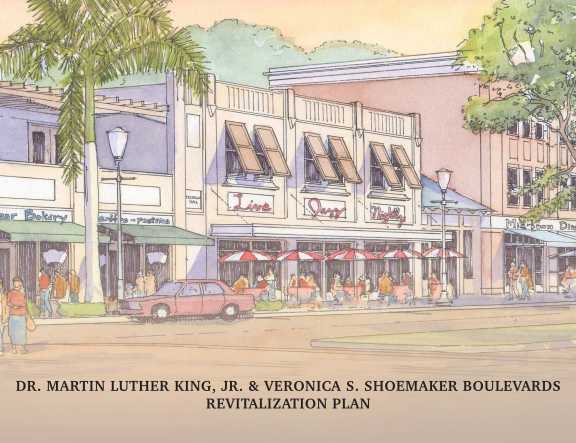 The Dr. Martin Luther King, Jr. and Veronica S. Shoemaker Boulevards Revitalization Plan envisions the future of these road corridors and the surrounding communities and sets forth the journey to turn that vision into reality. A consulting team headed by Dover, Kohl & Partners began by asking the people of Dunbar to share their concerns about conditions in their neighborhood and their ideas for the future. A week-long community planning workshop in December of 2005 included an interactive design session where residents worked in small groups and drew their ideas on maps of their neighborhoods. A design studio was then set up along Dr. Martin Luther King, Jr. Boulevard where many residents, city staff, and community leaders stopped by to help guide the plan’s development. Several public meetings and presentations gave residents and property owners more chances to understand ideas as they evolved and a chance to criticize or support those ideas. This Revitalization Plan was shaped from this extensive input. The plan includes potential physical improvements plus critical regulatory changes, with detailed strategies for their implementation. The plan is a guidebook to help residents, property owners and the city of Fort Myers to steer the future development of Dunbar including its major road corridors and nearby neighborhoods. 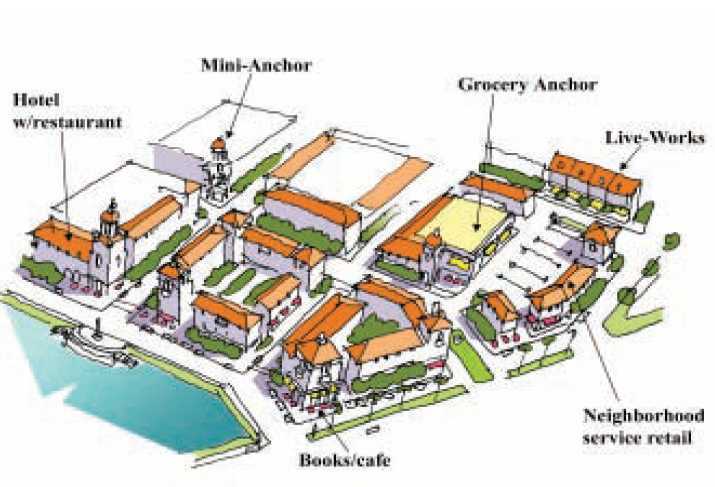 The major revitalization ideas are summarized below; details are provided in the full report which can be downloaded at the end of this page. Jr. and Veronica S. Shoemaker Boulevards is establishing walkability while maintaining road capacity for through traffic. ● An essential goal is identifying key segments along the boulevards where walkability needs to be improved. ● Within these segments, vehicular capacity should be maintained by using avenue and boulevard designs, with walkability improved through speed management, more opportunities for pedestrians to cross, and the creation of superior pedestrian environments. The fronts of buildings should have doors and windows facing streets and public spaces, making the streets more attractive and desirable places to be. Parking should be on-street or behind the buildings. ● Michigan Court’s redevelopment plan should be modified to a network of traditional streets and blocks, which will create a safer and more diverse neighborhood of desirable houses and apartments. 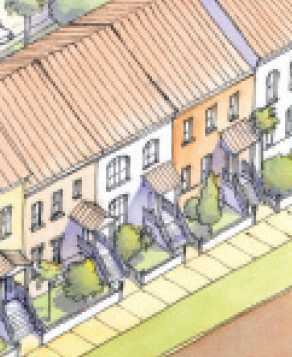 To create a complete neighborhood that can be enjoyed by a diverse population, it is crucial to provide housing for a mix of incomes and a variety of building types allowing for diverse lifestyle options and incomes to live in the same neighborhood. ● Eastwood Village should be one of the neighborhoods integrating a variety of market-rate and workforce housing on traditional interconnected blocks. housing in a way that improves the entire neighborhood. 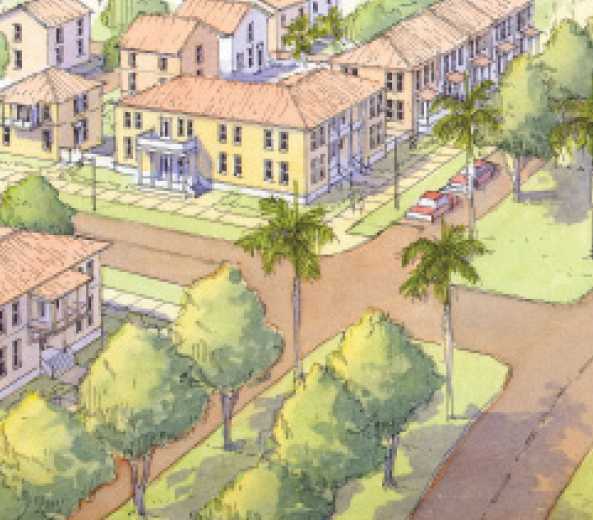 With diverse housing types placed on traditional city blocks, Towles Garden can become a model of development for other Fort Myers neighborhoods. housing that improves the neighborhood. Preserving and restoring the existing community resources and creating new facilities to host cultural events is vital in honoring the community heritage and identity. ● The intersection of Cranford Avenue and Dr. Martin Luther King, Jr. Boulevard was once a neighborhood center and could be brought back better than ever. Anchored by a renovated McCollum Hall and the Imaginarium, this corner could fuse tourism with local culture and serve as a western gateway to Dunbar. ● Clemente Park should become the highly visible and much-frequented centerpiece of Dunbar. Its park amenities and Black History Museum can be supplemented through time with additional community buildings and a major cultural center. A crossing of the Ford Street drainage canal can reunite nearby neighborhoods and link Clemente Park to Dunbar Park. ● The new intersection of Dr. Martin Luther King, Jr. Boulevard and Veronica S. Shoemaker Boulevard is too important to be left to the vagaries of generic roadside strip development. This intersection deserves a prominent cultural landmark, and dignified housing should be added nearby. This Revitalization Plan was created through close cooperation with the Dunbar community. While improving the physical attributes of the place, a more upwardly mobile community can be created with programs assisting local residents and businesses. ● Expanding the number and variety of local businesses will make more consumer choices available to local residents, offer more opportunities for entrepreneurial activity and retain more wealth in the community. Business training and start-up facilities are important for the launching and flourishing of local businesses. ● The city should continue to support and publicize the entrepreneurial assistance offered by the Southwest Florida Enterprise Center and the FGCU-based Small Business Development Center. The newly expanded Enterprise Zone for central and east Fort Myers offers numerous valuable benefits for new homes and for certain businesses, especially those employing residents in the Enterprise Zone. ● An expanded redevelopment area for Dunbar could provide a recurring source of funds to help carry out this revitalization plan. ● A Dunbar Development Fund should be established to coordinate training and financial assistance to local entrepreneurs so the community fully benefits from Dunbar’s untapped economic potential. The City of Fort Myers must begin transforming its outdated land-use regulatory system to allow the city to improve over time. The current system is overly rigid yet still does not embody the aspirations of its citizens for a better future. ● The recent four-laning of Dr. Martin Luther King, Jr. Boulevard has added new hurdles that interfere with redevelopment of the traditional business district. Some of these hurdles can be removed by creating an overlay district in the city’s Growth Management Code to waive unnecessary dimensional restrictions on small B-2 business lots, particularly the minimum setbacks and lot sizes and the excessive parking requirements. ● Well-tended vacant lots owned by adjoining homeowners are a welcome addition to most neighborhoods, but vacant lots owned by absentee investors are rarely an asset. City regulations that forbid a 50' wide vacant lot from having a home built on it should be lifted. Neighborhoods suffer when houses or lots are abandoned. The city’s program to convert eyesore lots into affordable housing should be accelerated and its standards should be reevaluated to ensure they meet the twin goals of neighborhood improvement and affordable housing. ● Duplexes can provide more variety in housing, but they have proven problematic when not designed to fit into single-family neighborhoods. Strict design standards for new duplexes can resolve this incompatibility. ● Rows of street trees should be placed between the sidewalk and traffic lanes in order to make sidewalks attractive to pedestrians. Shoemaker Blvd: Billy Creek to Palm Beach Blvd. Shoemaker Blvd at Edison Ave.
Shoemaker Blvd at Winkler Ave.
Shoemaker Blvd at Colonial Blvd.